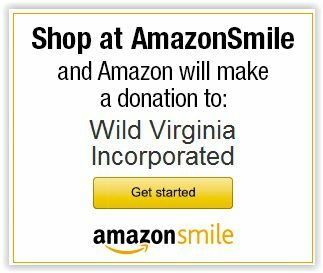 Welcome to Wild Virginia's Blog! 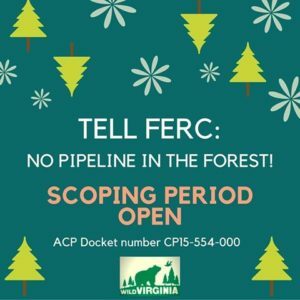 Three steps to fight the Atlantic Coast Pipeline – Make Sure to Comment Before June 2nd! It is not too late to become a FERC Intervenor!! The deadline to sign up and comment is June 2nd. 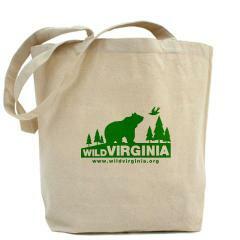 Wild Virginia works to keep you informed about when and how you can best make your voice heard. One of those moments is now. 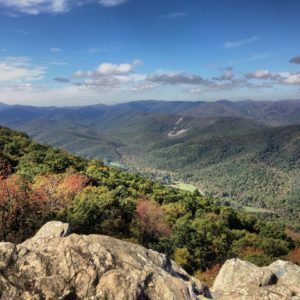 The Forest Service is calling for comments on whether or not to issue a “right-of-way grant” that would allow the Atlantic Coast Pipeline to cross and occupy National Forest lands, and whether the George Washington National Forest should amend its 10 year plan to allow the ACP to cross the forest. What is The True Economic Costs of the Mountain Valley Pipeline? A study released on May 18 examines effects on areas close to the Mountain Valley Pipeline (MVP) right-of-way during and after construction. During construction, the right-of-way would be at least 125 feet wide and require the clearing of trees and other vegetation. The pipeline trench would be about seven feet deep in most places. 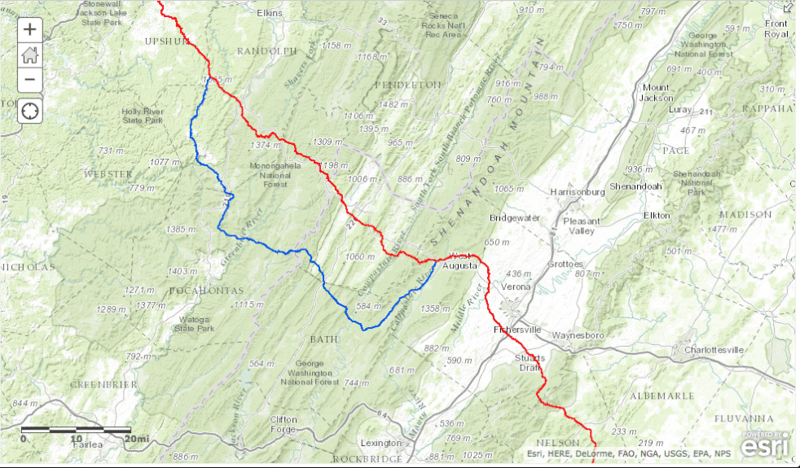 On the way, the MVP would pass through George Washington National Forest as well as Jefferson National Forest. The Federal Energy Regulatory Commission (FERC) is currently working with a consultant on an environmental impact study which is necessary before the project continues. A spokeswoman for Mountain Valley Pipeline, pointed to the “broad, bipartisan coalition of public officials, residents, companies and pro-business groups that support the Mountain Valley Pipeline because of its significant economic benefits.” It is the point of view of the FERC that its review policy “balances the public benefits against the potential adverse consequences,” and Gov. McAuliffe is supporting the project. Large mammals have roamed the Earth for millions of years. From the lions and elephants of the Serengeti, to the bison and grizzly bears of North America, these animals are essential to their surrounding ecosystems. Many are indicator species that signal the health of their ecosystem simply through their presence. These large organisms often control other populations through predator prey relationships and can even create habitat for smaller organisms through grazing and stampedes. But with a large animal comes a large set of requirements to live a healthy lifestyle. These animals require lots of land to roam in order to find food, mate, and continue their traditional migrations. Human development has encroached on the land these large organisms need to survive. Populations are becoming fragmented and species are losing their genetic diversity, forcing some near the brink of extinction. The National Parks created years ago are becoming isolated natural islands across the landscape that lack the amount of room required by many species. 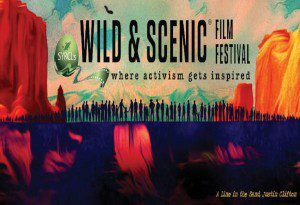 The film Wild Ways, produced by NOVA, explores the conservation progress in the western United States and Canada to connect Yellowstone National Park to the Yukon corridor. 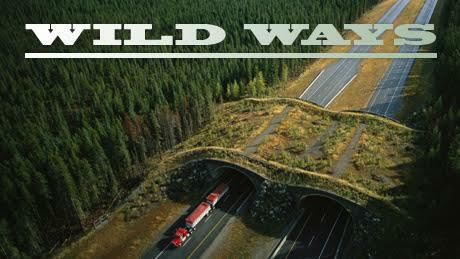 Overpasses, tunnels, and protected land areas are being built to establish more natural routes between the currently isolated habitats of these organisms. The connection of these fragmented environments would produce a safe haven for animals to live, feed, and breed without the threat of getting shot or becoming road-kill on a four-lane highway. 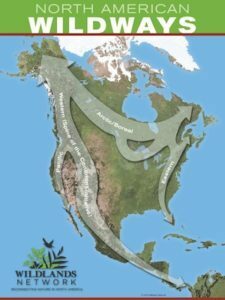 This linkage of national parks within the Rocky Mountains would help meet the needs of other species as well and attempt to recreate the large ecosystem that was in place before European colonization of the west. Wild Virginia is supporting similar programs like these discussed in Wild Ways here in the east by collaborating with the Wildlands Network. The Wildlands Network is working with conservationists and non-profits to develop the Eastern Wildway© a corridor of connectivity that would stretch from Quebec to Florida. Our own George Washington and Jefferson National Forests have the potential to encompass a large link in this chain for Virginia. Wild ways have the opportunity to connect valuable areas and protect not only the large mammals that exist in these ecosystems but also educate humans on how we can achieve a healthier balance with nature. On April 6th, the U.S. Fish and Wildlife Service protected two species of crayfish in Kentucky, Virginia, and West Virginia under the Endangered Species Act. This listing comes in response to a petition from the Center for Biological Diversity. 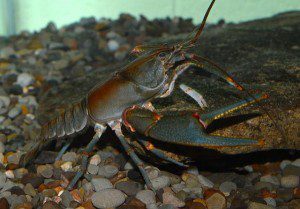 The Big Sandy crayfish and the Guyandotte River crayfish have lost more than half of their habitat ranges due to water pollution, primarily from coal mining and the construction of highways and expressways. The protection of these crayfish under the ESA means it is now illegal for any person or corporation to harm the crayfish or their habitat and that federal agencies will need to consult with the Fish and Wildlife Services before permitting any activity that could harm the animal. Crayfish are considered a keystone animal—they create habitat used by other species, help to keep streams clean by eating decaying plant and animal matter, and are, in turn, eaten by fish, birds, and reptiles. They are a crucial link in the food and ecosystem web. Tierra Curry, a senior scientist at the Center for Biological Diversity notes that “protecting these two crayfish under the Endangered Species Act will not only ensure their survival but will also protect streams and water quality that are important for people.” The Center for Biological Diversity concludes that recent scientific studies have determined that mountaintop-removal coal mining has adverse effects on fish, crayfish, mussels, amphibians and stream insects in Appalachia and is also associated with increased risk of cancer and birth defects in humans. This listing is one step in the right direction to begin to regain the health and integrity of our ecosystems that are depended upon by both humans and animals alike. This map includes nearly 200 miles of the western mountainous and upland sections of the proposed pipeline. Red spruce ecosystem restoration areas and there are many more to come. Dominion has proposed to adopt an alternative route (GWNF 6) for the Atlantic Coast Pipeline (ACP) in order to avoid the threatened species in the Cheat and Shenandoah Mountain ranges. In order to avoid these mountains, the new, proposed route will pass through Pocahontas County, cross into Highland County and then into Bath and Augusta County, where it will rejoin the original ACP route at West Augusta. 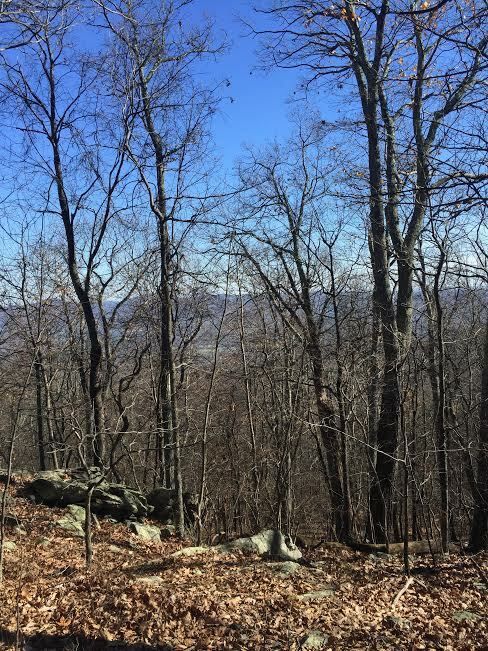 This route crosses through 6.7 miles of the George Washington National Forest (GWNF) and 79 miles of private land, 8.5% of which includes conservation easements held by the Virginia Outdoors Foundation. And these are only some of the concerns this new route raises. Data from the USGS Soil Survey Geographic Database indicates that approximately 24.3 miles of the route crosses slopes greater than 30 percent and approximately 8.6 miles of the route crosses side slopes greater than 30 percent. A total of approximately 55.5 miles of the route crosses areas characterized by the USGS as having high incidence for landslides. 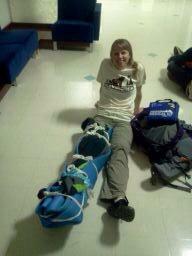 26.8 miles of the GWNF 6 route would cross through Karst topography. 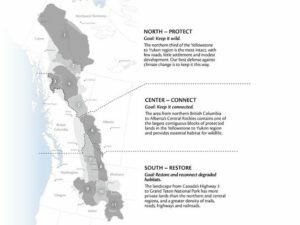 This all suggests that the proposed route will be built on steep, highly erodible, unsuitable terrain that will cause serious problems with revegetation, erosion, and landslides. As Wild Virginia President, Ernie Reed, points out, in order for Dominion to build the pipeline across the National Forest, they must first prove that the private use of the forest is necessary “to serve the public interest and (that it) cannot be accommodated on non-Federal land.” Neither of which Dominion has demonstrated. While the move away from Cheat and Shenandoah Mountains sought to alleviate certain environmental pressures, this new route is equally as troublesome. This week, Congress will be voting an appropriations bill that is slated to include provisions that would that would significantly harm national forests. These appropriations are part of a wider deal to reform federal spending on the wildfire budget, allowing more disaster funds to be used for fire fighting. What this means, however, is that more U.S. Forest Service funds could be used for forest management projects such as logging and biomass removal. We’re asking you to make a quick phone call to ask your Senators and Representatives to oppose including any forest management provisions in this appropriations bill, especially any new categorical exclusion (CE) for intensive logging to create early successional habitat. CE’s exempt projects from normal rules for environmental analysis and public input. This promotes clear cutting of mature forest and would have a disproportionate, harmful impact on our small, special national forests in the Southern Appalachian mountains and would contradict efforts to encourage more restoration-oriented forest management. How do we keep Congress from passing these provisions? Call your Senators and Representatives as soon as possible to urge your lawmakers that no forest management provisions should be incorporated into the appropriations bill. We are especially adamant that a categorical exclusion for early successional habitat not be included. 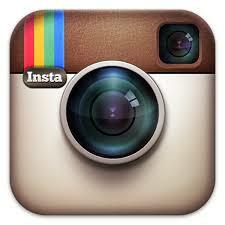 Here’s a link to search for your elected officials. Early successional habitat (ESH): ESH is a “change in plant communities as a result of some kind of disturbance,” caused by forest fires or human activity such as logging. ESH is also what hunters call “cover,” including the early growth vegetation in a forest, such as underbrush, thickets, and saplings. In terms of this bill, creating ESH entails a clear-cutting technique of mature forests favorable to commercial logging. Those of us in the conservation camp are concerned about ecosystem restoration, and we know that leaving forests intact contributes to soil health, ecosystem integrity, and carbon sequestering. Categorical exclusions: “a category of actions which do not individually or cumulatively have a significant effect on the human environment…and…for which, therefore, neither an environmental assessment nor an environmental impact statement is required.” –40 CFR 1508.4. Categorical exclusions eliminate the mandate for environmental analysis of potential impacts and remove the ability of the public to participate in the decision. Wildlife Disaster Funding Act (WDFA): A bill created in 2014 that allowed wildfire funding to come from disaster funds, and not be “borrowed” from other sources. As a human species, we seem to be doing our best to overwhelm the natural balances of the earth: we waste about 1/3 of all food produced (and up to 40% in the U.S.), we cut down 46-58,000 square miles of forest a year, and scientists predict global temperature increases as high as 8.6° by 2100. Yet, despite ourselves, the earth is still trying to correct our mistakes. Recent research published in Nature Climate Change shows that extended growing seasons in East Coast forests due to increasing temperatures actually increases the amount of carbon that the forests can absorb. Because the trees are “leafing out earlier in the spring” and holding onto leaves later into the fall, the forests have an extended time to undergo the photosynthesis process (which intakes carbon to make glucose, for those of us needing a 9th grade biology refresher). While increased temperatures also means increased respiration (a process that produces carbon dioxide), this study shows that the two processes together still create a net increase of carbon dioxide storage. Forests may help reduce the growth rate of atmospheric carbon dioxide and slow future warming. But at the same time, climate change is increasing the vulnerability of many U.S. forests to fire, insect infestations, drought, and disease outbreaks. These disturbances raise the potential for large releases of carbon dioxide back into the atmosphere. Protecting our forests, and forests worldwide, is critical to mitigate climate change and atmospheric carbon. Wild Virginia works everyday to preserve our Natural Forests, raising our voice against logging, pipelines, and habitat destruction. We’re anything but alone in this fight. Our friends at Dogwood Alliance are leading the charge against logging and biomass removal in Southern U.S. forests. Appalachian Voices fights against mountaintop removal coal mining, which strips mountain ecosystems in the Appalachian mountains. While our forests are doing their best to survive and adapt to man-made changes, we must ensure that these forests thrive. The forests we protect, in turn, protect us.